After getting a B.S. in Cognitive Science from Brown University in 1988, I went on to graduate school in the Psychology Department at the University of Illinois, where I got my PhD in 1992. Then, I spent five years as an Assistant Professor in the Psychology Department at Columbia University. My research has focused on four main areas. First, I am interested in the way people see things to be similar, and how they process similarity and analogy comparisons. While the study of similarity is interesting for its own sake, it is also interesting because of what it can tell us about other psychological processes. In order to look at the way that our ability to make comparisons affects our cognitive processing, I also do research on category learning and decision making. I have also gotten interested in the way that motivational factors affect learning, decision making, and cognition more generally. I served as the founding director of the program in the Human Dimensions of Organizations from 2011-2018. This program aims to provide education in the humanities and the social and behavioral sciences to people in business, nonprofits, government, and the military. The aim is to teach leaders about how people, groups, and cultures influence the workplace. HDO has both an MA and a BA program. I am now executive director of the IC2 Institute. IC2 is a think-and-do tank that focuses on innovation and entrepreneurship. The current mission of the institute is to explore rural and small city economic development in Texas, the US, and around the world. In the Spring of 2019, I am teaching in the Human Dimensions of Organizations masters program. In the Fall of 2019, I will teach HDO 301: Introduction to the Human Dimensions of Organizations. In the past, I have taught the lower-division course in cognition, PSY 305, graduate seminars on Reasoning and Decision Making and Knowledge Representation. I have also taught PSY 418, Statistics and Research Methods. An old syllabus for PSY 418 is available here. I have coordinated PSY 387R, Fundamentals of Cognition. I have also taught an undergraduate seminar on Reasoning and Decision Making, and a graduate seminar on Motivation and Learning. I blog for several outlets and I have written a number of books bringing cognitive science to a broader audience. You can get more information about this work here. In addition, I do a radio show and podcast called Two Guys on Your Head produced by KUT. HDO 301 aims to teach students how to use a liberal arts education to prepare for work in organizational contexts (including business, government, and nonprofits). The course is organized around the themes of negotiation, dispute resolution, and establishing a vision. It uses readings and projects from across the humanities, and the social and behavioral sciences to provide perspectives on these topics. Students are expected to attend class each week and participation grades will be given. In addition, students will be assigned to teams that will work together on a number of exercises. Grading of those assignments will be done at the level of the team. Part of learning about how to navigate organizational contexts is to engage in negotiation and dispute resolution within your team to ensure that everyone works together. While the professor and teaching assistants are available to help mediate disputes among team members, requests to change teams will not be honored. Kelley, R.D.G. (2003). Freedom dreams: The black radical imagination. Beacon Press. Markman, A.B. (2013). Habits of Leadership. New York: Perigee. Woodruff, P. (1993). Thucydides: On justice power and human nature. Indianapolis: Hackett. Please note that the Kelley & Woodruff books will be available at the Coop. The Markman book is only available as an e-book and can be found on most popular e-book formats including Kindle, Nook, and iBook. HDO 301 will use Canvas. Any of the readings that are not part of the required textbook list will be available to download on Canvas. Assignments will be turned in using Canvas. The professor and TAs will make every effort to answer messages sent through Canvas as quickly as possible. All assignments and exams will be graded on a 100-point scale. The participation grade is quite simple. All students will sign in for each class. The percentage of classes attended will constitute the participation grade. This course is designed as a "lab meeting" for the students doing honors research. Here, you'll get guidance about your honors project. We'll talk about doing a literature review and about designing a study. The group will serve as a sounding board for research ideas. We'll review materials for experiments and make suggestions about data analyses. In addition to talking about research, we'll also discuss careers in Psychology and related fields. Depending on the interests of the group, we can talk about admission to graduate school, and the many fields of study that you can pursue after getting your degree. Your grade will be based on your performance on the written assigments. Due dates for the written assignments are presented below. This course is designed as a "lab meeting" for the students doing honors research. Here, you'll get guidance about your honors project. We'll talk about doing a literature review and about designing a study. The group will serve as a sounding board for research ideas. We'll review materials for experiments and make suggestions about data analyses. In addition to talking about research, we'll also discuss careers in Psychology and related fields. Depending on the interests of the group, we can talk about admission to graduate school, and the many fields of study that you can pursue after getting your degree. Department of Psychology Honors Program is designed to give outstanding students who plan a career in psychology an intensive exposure to research in psychology. Program consists of three formal courses: PSY 359H (Honors Research I), PSY 379H (Honors Research II), and PSY 158H (Honors Seminar). PSY 359H is seminar course which provides opportunity for discussion of various areas of psychology and issues related to research. Explore areas of interest and prepare to undertake independent work in area by reviewing previous research and writing an integrative review paper. Applications for the Department of Psychology Honors Program are available in the Undergraduate Office, SEA 2.218. Click here for a week by week class schedule. Psychology 301 with a grade of C or better, Psychology 418 or an equivalent listed in the course schedule) with a C or better, and Upper-Division standing (60 hours completed). Enrollment in this course is limited to 30 students. This course is a survey of psychological research on how people reason and make decisions. Reasoning is the ability to go beyond the information given in a situation to figure out what is going on. Decision making is the ability to select a course of action from among a set of possibilities. Understanding how people act helps us to understand fundamental problems in psychology such as whether people tend to act rationally. In addition, understanding how people think and decide in general can make us as individuals better reasoners and decision makers. This course will meet two times a week for one hour and fifteen minutes. The classes will be a mix of seminar-type discussion, lectures and group projects. There will be roughly one paper to read for each class session. I expect you to keep current on the reading to facilitate class discussion. Papers can be downloaded from the course page on the Blackboard system. The readings are a mix of summary articles and primary source readings. It may be slow-going to get through these readings at first, but it is well-worth getting familiar with the style and content of journal articles. Additional readings on any topic are available on request. Grading in this course is based on performance on weekly reaction papers, two exams, and a long paper. Each week, you are expected to turn in a reaction paper to at least one of the readings for that week. Reaction papers are due at the end of class on Thursday. I recommend writing it before the class when we are scheduled to discuss a particular article, though, so that you have comments in mind to discuss in class. Reaction papers should describe your reactions to the reading. That is, they should not be a summary of what you read. Rather, I'd like your opinions. Is the theory or the studies presented by the authors sufficient to explain what the authors would like to explain? Are there things that are not well explained by the theory presented? Is there other evidence you know about that would suggest a problem with the authors' approach? What do you think are the main advances of the work, or how does it fail to take into account other work. Feel free to draw on your own expertise in other areas of psychology or from other disciplines. If you think a particular theory would be helpful for some problem you have been thinking about, say so. If you felt a particular article was confusing, say that too. I will read your reaction papers each week, and respond to them. There will be two exams in the course. They will be essay exams. One will be in class at the middle of the semester, one will be at the end. The exams are cumulative. The exams will ask questions designed to show that you can integrate your thoughts across the ideas presented during the course. The centerpiece of the semester will be a long paper that you will write on a topic of your choosing in the area of reasoning or decision making. I would like you to select an area covered in the class, read about the prevailing theories in that area, and then propose a study that would address the issues you raise. This style of paper is similar to the kinds of fellowship and grant proposals that psychologists often have to write to get funding for their research. The paper will be written in three stages. At about the 4-week mark of the semester, each student will turn in a two-paragraph summary of the paper they are planning to write. I will read these topic proposals and make comments and suggestions. A first draft of the paper will be due about 5-weeks before the end of the semester. I will read and comment on these drafts. 1/3 of your paper grade will be based on the quality of these drafts. At this stage, you will also do some peer editing. You will be assigned a partner in the class, and you will read your partner's paper and your partner will read your paper and provide feedback. The final version of the paper will be turned in on the last day of classes. The remaining 2/3 of your paper grade will be based on the final version of the paper. No make-up exams will be given. If one exam is missed, then with a note from a doctor or a dean, the other exam will count for your exam grade for the semester. In the absence of a note from a doctor or a dean, or if more than one exam is missed, then the missed exams will be entered as a 0 in the computation of your final grade. I am always on the lookout for good cartoons to use as examples in class. One point toward your final grade will be awarded to any student who brings a cartoon that is relevant to a point discussed in class along with a paragraph describing why it is relevant. Credit for a particular cartoon will be given only to the first student bringing in that cartoon. You are expected to do all exams individually. If any student is caught cheating on an exam either by copying from someone else or by using outside material, they will be given an F in the course and the matter will be turned over to the appropriate deans. Policy on students with disabilities. We will make every effort to accommodate students with disabilities. Students with disabilities must present documentation of their disability from the Office of the Dean of Students--Services for Students with Disabilities as early in the semester as possible in order to facilitate any necessary accommodations. No accommodations will be made for students who do not have documentation from the Dean of Students office. Powerpoint versions of the lectures can be downloaded by clicking on the right-most column. I recommend printing them out 3 or 6 to a page and bringing them to class to take notes. Kim, N.S., & Ahn, W.K. (2002). Clinical psychologists' theory-based representations of mental disorders predict their diagnostic reasoning and memory. Journal of Experimental Psychology: General, 131(4), 451-476. McCloskey, M. (1983). Intuitive physics. Scientific American, 248, 4, 122-130. Gentner, D., & Markman, A.B. (1997). Structural alignment in analogy and similarity. American Psychologist, 52(1), 45-56. Gick, M.L., & Holyoak, K.J. (1980). Analogical problem solving. Cognitive Psychology, 12, 306-355. An copy of an old exam is available here to help you study. An Answer key for the Spring 08 Midterm. March 25 Heuristics and biases Kahneman, D. & Tversky, A. (1984). Choices, values, and frames. American Psychologist, 39(4), 341-350. Markman, A.B., & Brendl, C.M. (2000). The influence of goals on value and choice. The Psychology of Learning and Motivation, 39, 97-129. Maddox, W.T., & Markman, A.B. (in press). The motivation-cognition interface in learning and decision-making. Current Directions in Psychological Science. Galanter, C.A., & Patel, V.L. (2005). Medical decision making: A selective review for child psychiatrists and psychologists. Journal of Child Psychiatry and Psychology, 46(7), 675-689. May 4 Culture influences on reasoning and decision making Markman, A.B., Grimm, L.R., & Kim, K. (2009). Culture as a vehicle for studying individual differences. To appear in R.S. Wyer, C.Y. Chiu, & Y.Y. Hong (Eds.) Understanding Culture: theory, research and application (pp. 93-106). New York: Taylor and Francis. Loken, B. (2006). Consumer Psychology: Categorization, inferences, affect, and persuasion. Annual Review of Psychology, 57 453-485. May 7 Papers due!! Your final papers are due on May 7 by 5pm. Please turn in your final paper draft along with the rough draft. Papers may be turned in to Dr. Markman's mailbox. This page last modified on Tuesday, January 5, 2010. Click here for the list of students and projects. Obviously, the main requirement to be in this course is to have been accepted into the honors program. If you have not been accepted into the honors program (or are not sure), please check with Prof. Markman before attending the class. You ought to know whether you were accepted into the honors program, because you would have been in this seminar last semester as well. The goal for this semester is to complete your honors project and your honors thesis. In addition, you must participate in the poster session at the end of the semester in which you present your project to the department. Details about the poster session will be provided in class. Here are a couple of papers from past honors seminars chosen more-or-less at random as examples for you to ponder as you work on your drafts. Here are the sample CVs that we looked at in class if you're looking for examples to create your own. In order to keep track of what everyone is up to, here's a list of the students in this seminar. Eventually, all of you will have home pages, which will be linked to this page. Also, if you have a personal home page, it can be linked to your name in this table. Three lecture hours a week for one semester. Prerequisite: upper-division standing, Psychology 301 and 418 with a grade of at least C in each, six semester hours of upper-division coursework in psychology, a grade point average of at least 3.50 in psychology courses taken at the university, a University grade point average of at least 3.25, and consent of the honors advisor. Markman, A.B. & Gentner, D. (1993). Splitting the differences: A structural alignment view of similarity. Journal of Memory and Language, 32(4), 517-535. Markman, A.B. & Gentner, D. (1993). Structural alignment during similarity comparisons. Cognitive Psychology, 25(4), 431-467. Gentner, D. & Markman, A.B. (1994). Structural alignment in comparison: No difference without similarity. Psychological Science, 5(3), 152-158. Gentner, D., Rattermann, M.J., Markman, A.B., & Kotovsky, L. (1995). Two forces in the development of relational similarity. In G.S. Halford & T. Simon (Eds), Developing Cognitive Competence: New Approaches to Process Modelling, Hillsdale, NJ: Lawrence Erlbaum Associates. Markman, A.B., & Gentner, D. (1996). Commonalities and differences in similarity comparisons. Memory and Cognition, 24(2), 235-249. Markman, A.B. (1996). Structural alignment in similarity and difference judgments. Psychonomic Bulletin and Review, 3(2), 227-230. Markman, A.B. (1996). Extended book review of French's "The subtlety of sameness", The International Journal of Neural Systems, 7(5), 665-670. Gentner, D., Brem, S., Ferguson, R., Markman, A.B., Wolff, P., Levidow, B.N., & Forbus, K.D. (1997). Analogical reasoning and conceptual change: A case study of Johannes Kepler. The Journal of the Learning Sciences, 6(1), 3-40. Gentner, D., & Markman, A.B. (1997). Structure mapping in analogy and similarity. American Psychologist, 52(1), 45-56. Markman, A.B., & Gentner, D. (1997). The effects of alignability on memory. Psychological Science, 8(5), 363-367. Markman, A.B. (1997). Constraints on analogical inference. Cognitive Science, 21(4), 373-418. Forbus, K.D., Gentner, D., Markman, A.B., & Ferguson, R.W. (1998). Analogy just looks like high level perception. Why a domain-general approach to analogical mapping is right. Journal of Experimental and Theoretical Artificial Intelligence, 10(2), 231-257. Markman, A.B., & Gentner, D. (2000). Structure mapping in the comparison process. American Journal of Psychology, 113, 501-538. Markman, A.B., & Gentner, D. (2001). Thinking. Annual Review of Psychology, 52, 223-247. Gentner, D., & Markman, A.B. (2002). Analogy-based reasoning and metaphor. In M.A. Arbib (Ed.) The Handbook of Brain Theory and Neural Networks (2nd ed.). (pp. 106-109) Cambridge, MA: The MIT Press. Dietrich, E., Markman, A.B., Stilwell, C.H., & Winkley, M. (2003). The role of representational change in chance discovery. In Y. Ohsawa & P. McBurney (Eds.) Chance Discovery: Foundations and applications (pp. 208-230). Heidelberg: Springer. Markman, A.B., & Gentner, D. (2005). Nonintentional similarity processing. In R. Hassin, J.A. Bargh, & J.S. Uleman (Eds.) The new unconscious. (pp. 107-137) New York: Oxford University Press. Larkey, L.B., & Markman, A.B. (2005). Processes of similarity judgment. Cognitive Science, 29(6), 1061-1076. Linsey, J.S., Laux, J., Clauss, E.F., Wood, K.L., & A Markman, A.B. (2007). Effects of analogous product representation on design-by-analogy. International Conference on Engineering Design ICED'07. Paris, France. Markman, A.B., Taylor, E., & Gentner, D. (2007). Auditory presentation leads to better analogical retrieval than written presentation. Psychonomic Bulletin and Review, 14(6), 1101-1106. Linsey, J.S., Wood, K.L., & Markman, A.B. (2008). Modality and representation in analogy. Artificial Intelligence for Engeinnering Design, Analysis, and Manufacturing, 22(2), 85-210. Markman, A. B., Wood, K. L., Linsey, J. S., Murphy, J. T., & Laux, J. (2009). Supporting innovation by promoting analogical reasoning. In A. B. Markman & K. L. Wood (Eds. ), Tools for Innovation (pp. 85-103). New York: Oxford University Press. Rein, J.R., & Markman, A.B. (2010). Assessing the concreteness of relational representation. Journal of Experimental Psychology: Learning, Memory, and Cognition, 36(6), 1452-1465. Grimm, L.R., Rein, J.R., & Markman, A.B. (2012). Determining transformation distance in similarity: Considerations for assessing representational changes a priori. Thinking and Reasoning, 18(1), 59-80. Medin, D.L., Goldstone, R.L., & Markman, A.B. (1995). Comparison and choice: Relations between similarity processing and decision processing. Psychonomic Bulletin and Review. 2(1), 1-19. Markman, A.B., & Medin, D.L. (1995). Similarity and alignment in choice. Organizational Behavior and Human Decision Processes. 63(2), 117-130. Lindemann, P.G., & Markman, A.B. (1996). Alignability and attribute importance in choice. In The proceedings of the 18th annual meeting of the Cognitive Science Society. San Diego, CA: Lawrence Erlbaum Associates. Brendl, C.M., Markman, A.B., & Higgins, E.T. (1998). Mentale Buchhaltung als Selbst-Regulation: Representativitat fur ziel-geleitete Kategorien [Mental accounting as self-regulation: Representativeness to goal-derived categories. Zeitschrift fuer Sozialpsychologie, 29, 89-104.. (An English translation of this paper can be obtained from any of the authors). Zhang, S., & Markman, A.B. (1998). Overcoming the early entrant advantage via differentiation: The role of alignable and nonalignable differences. Journal of Marketing Research. 35, 413-426. Markman, A.B., & Brendl, C.M. (2000). The influence of goals on value and choice. In D.L. Medin (Ed.) The Psychology of Learning and Motivation, Vol. 39. (pp. 97-129) San Diego, CA: Academic Press. Markman, A.B., & Moreau, C.P. (2001). Analogy and analogical comparison in choice. In D. Gentner, K.J. Holyoak, & B. Kokinov (Eds.) Analogy: Theoretical and Empirical Research. (pp. 363-400) Cambridge, MA: The MIT Press. Moreau, C.P., Lehman, D.R., & Markman, A.B. (2001). Entrenched category structures and resistance to 'really' new products. Journal of Marketing Research, 38(1), 14-29. Moreau, C.P., Markman, A.B., & Lehman, D.R. (2001). 'What is it?' Categorization flexibility and consumers' responses to really new products. Journal of Consumer Research, 27, 489-498. Zhang, S., & Markman, A.B. (2001). Processing product-unique features: Alignment and involvement in preference construction. Journal of Consumer Psychology, 11(1), 13-27. Brendl, C.M., Markman, A.B., & Messner, C. (2001). How do indirect measures of evaluation work? Evaluating the inference of prejudice in the Implicit Association Test. Journal of Personality and Social Psychology, 81(5), 760-773. Markman, A.B., & Medin, D.L. (2002). Decision Making. In D.L. Medin & H. Pashler (Eds.) Stevens Handbook of Experimental Psychology (3rd Edition), Volume 2. (pp. 413-466). New York: John Wiley and Sons. Brendl, C.M., Markman, A.B., & Messner, C. (2003). Devaluation of goal-unrelated choice options. Journal of Consumer Research, 29, 463-473. Brendl, C.M., Markman, A.B., & Messner, C. (2005). Indirectly measuring evaluations of several attitude objects in relation to a neutral reference point. Journal of Experimental Social Psychology, 41(4), 346-368. Markman, A.B., & Brendl, C.M. (2005). Goals, policies, preferences, and actions. In F.R. Kardes, P.M. Herr, & J. Nantel (Eds.) Applying social cognition to consumer-focused strategy. (pp. 183-200). Mahwah, NJ: Lawrence Erlbaum Associates. Markman, A.B., Brendl, C.M., & Kim, K. (2007). Preference and the specificity of goals. Emotion, 7(3), 680-684. Worthy, D.A., Maddox, W.T., & Markman, A.B. (2007). Regulatory fit effects in a choice task. Psychonomic Bulletin and Review, 14(6), 1125-1132. Worthy, D.A., Maddox, W.T., & Markman, A.B. (2008). Ratio and difference comparisons of expected reward in decision making tasks. Memory and Cognition, 36(8), 1460-1469. Otto, A.R., Gureckis, T.M., Markman, A.B., & Love, B.C. (2009). Navigating through abstract decision spaces: Evaluating the role of state generalization in a dynamic decision task. Psychonomic Bulletin and Review. Markman, A.B. & Loewenstein, J. (2010). Structural comparison and consumer choice. Journal of Consumer Psychology, 20, 126-137. Otto, A.R., Markman, A.B., Gureckis, T.M., & Love, B.C. (2010). Regulatory fit and systematic exploration in a dynamic decision-making environment. Journal of Experimental Psychology: Learning, Memory, and Cognition, 36(3), 797-804. Otto. A.R., Taylor, E.G., & Markman, A.B. (2011). There are at Least Two Kinds of Probability Matching: Evidence from a Secondary Task. Cognition. 118, 274-279. Otto, A.R., Markman, A.B., & Love, B.C. (in press). Taking more now: The optimality of impulsive choice hinges on environment structure. Social Psychological and Personality Science. Markman, A.B. (1989). LMS rules and the inverse base-rate effect: Comment on Gluck and Bower (1988). Journal of Experimental Psychology: General, 118, 417-421. Wisniewski, E.J. & Markman, A.B. (1993). The role of structural alignment in conceptual combination. In The Proceedings of the 15th Annual Meeting of the Cognitive Science Society, Boulder, CO.
Markman, A.B., Yamauchi, T., & Makin, V.S. (1997). The creation of new concepts: A multifaceted approach to category learning. In T.B. Ward, S.M. Smith & J. Vaid (Eds.) Creative thought: An investigation of conceptual structures and processes, Washington, DC: American Psychological Association. Markman, A.B., & Wisniewski, E.J. (1997). Similar and different: The differentiation of basic level categories. Journal of Experimental Psychology: Learning, Memory, and Cognition,23(1), 54-70. Markman, A.B. (1997). Structural alignment in similarity and its influence on category structure. Cognitive Studies, 4, 19-37. Yamauchi, T., & Markman, A.B. (1998). Category learning by inference and classification. Journal of Memory and Language, 39(1), 124-148. Markman, A.B., & Makin, V.S. (1998). Referential communication and category acquisition. Journal of Experimental Psychology: General, 127, 331-354. Yamauchi, T., & Markman, A.B. (2000). Learning categories composed of varying instances: The effect of classification, inference, and structural alignment. Memory and Cognition, 28(1), 64-78. Yamauchi, T., &amp Markman, A.B. (2000). Inference using categories. Journal of Experimental Psychology: Learning, Memory, and Cognition, 26, 776-795. Markman, A.B. (2001). Structural alignment, similarity, and the internal structure of category representations. In U. Hahn, & M. Ramscar (Eds.) Similarity and Categorization (pp. 109-130). Oxford, UK: Oxford University Press. Markman, A.B., & Stilwell, C.H. (2001). Role-governed categories. Journal of Experimental and Theoretical Artificial Intelligence, 13(4), 329-358. Yamauchi, T., Love, B.C., & Markman, A.B. (2002). Learning nonlinearly separable categories by inference and classification. Journal of Experimental Psychology: Learning, Memory, and Cognition, 28(3), 585-593. Markman, A.B., & Maddox, W.T. (2003). Classification of exemplars with single and multiple feature manifestations: The effects of relevant dimension variation and category structure. Journal of Experimental Psychology: Learning, Memory, and Cognition, 29(1), 107-117. Markman, A.B., & Ross, B.H. (2003). Category use and category learning. Psychological Bulletin, 129(4), 592-615. Love, B.C., & Markman, A.B. (2003). The non-independence of stimulus properties in category learning. Memory and Cognition, 31(5), 790-799. Markman, A.B., & Stilwell, C.H. (2004). Concepts a la modal: Review of Prinz's "Furnishing the Mind." Philosophical Psychology, 17(3), 391-401. Markman, A.B. (2005). What are categories and why are they coherent? In W.K. Ahn, R.L. Goldstone, B.C. Love, A.B. Markman, & P. Wolff (Eds.) Categorization inside and outside the laboratory: Essays in honor of Douglas L. Medin. (pp. 215-227). Washington, DC: American Psychological Association. Bohil, C.J., Markman, A.B., & Maddox, W.T. (2005). A feature-salience analogue of the inverse base-rate effect. Korean Journal of Thinking and Problem Solving, 15(1), 17-28. Markman, A.B., Baldwin, G.C., & Maddox, W.T. (2005). The interaction of payoff structure and regulatory focus in classification. Psychological Science, 16(11), 852-855. Markman, A.B., Maddox, W.T., & Baldwin, G.C. (2005). The implications of advances in research on motivation for cognitive models. Journal of Experimental and Theoretical Artificial Intelligence, 17(4), 371-384. Maddox, W.T., Markman, A.B., & Baldwin, G.C. (2006). Using classification to understand the motivation-learning interface. Psychology of Learning and Motivation, 47, 213-250. Markman, A.B., Maddox, W.T., & Worthy, D.A. (2006). Choking and excelling under pressure. Psychological Science, 17(11), 944-948. Maddox, W.T., Baldwin, G.C., & Markman, A.B. (2006). A test of the regulatory fit hypothesis in perceptual classification learning. Memory and Cognition, 34(7), 1377-1397. Markman, A.B., Maddox, W.T., Worthy, D.A., & Baldwin, G.C. (2007). Using regulatory focus to explore implicit and explicit processing on concept learning. Journal of Consciousness Studies, 14(9-10), 132-155. Grimm, L.R., Markman, A.B., Maddox, W.T., & Baldwin, G.C. (2008). Differential effects of regulatory fit on category learning. Journal of Experimental Social Psychology, 44, 920-927. Worthy, D.A., Markman, A.B., & Maddox, W.T. (2009). What is pressure? Evidence for social pressure as a type of regulatory focus. Psychonomic Bulletin and Review, 16(2), 344-349. Worthy, D.A., Markman, a.B., & Markman, W.T. (2009). Choking and excelling under pressure in experienced classifiers. Attention, Perception, and Psychophysics, 71(4), 924-935. Rein, J.R., Goldwater, M.B., & Markman, A.B. (2010). What is typical about the typicality effect in category-based induction? Memory and Cognition, 38(3), 377-388. Goldwater, M.B., Markman, A.B., & Stilwell, C.H. (2011). The empirical case for role-governed categories. Cognition, 118, 359-376. Goldwater, M.B. & Markman, A.B. (2011). Categorizing entities by common role. Psychonomic Bulletin and Review, 18(2), 406-413. Markman, A.B. (1999). Knowledge Representation. Mahwah, NJ: Lawrence Erlbaum Associates. Dietrich, A.B., &amp Markman, A.B. (Eds.) (2000). Cognitive Dynamics. Mahwah, NJ: Lawrence Erlbaum Associates. Markman, A.B., &amp Dietrich, E. (2000). In defense of representation. Cognitive Psychology, 40, 138-171. Markman, A.B., &amp Dietrich, E. (2000). Extending the classical view of representation.Trends in Cognitive Sciences. 4, 70-75. Markman, A.B. (2002). Knowledge Representation. In D.L. Medin & H. Pashler (Eds.) Stevens Handbook of Experimental Psychology (3rd Edition), Volume 2. (pp. 165-208). New York: John Wiley and Sons. Dietrich, E., & Markman, A.B. (2003). Discrete thoughts: Why cognition must use discrete representations. Mind and Language, 18, 95-119. Markman, A.B., & Brendl, C.M. (2005). Constraining theories of embodied cognition. Psychological Science, 16(1), 6-10. Goldwater, M.B., & Markman, A.B. (2009). Constructional sources of implicit agents in sentence comprehension. Cognitive Linguistics, 20(4), 675-702. Kim, K. & Markman, A.B. (2006). Differences in Fear of Isolation as an explanation of Cultural Differences: Evidence from memory and reasoning. Journal of Experimental Social Psychology, 42, 350-364. Kim, K., Narvaez, L.R., & Markman, A.B. (2007). Self-construal and the processing of covariation information in causal reasoning. Memory and Cognition, 35(6), 1337-1343. Grimm, L.R., Markman, A.B., Maddox, W.T., & Baldwin, G.C. (2009). Stereotype threat reinterpreted as a regulatory mismatch. Journal of Personality and Social Psychology, 96(2), 288-304. Markman, A.B., Grimm, L.R., & Kim, K. (2009). Culture as a vehicle for studying individual differences. In R.S. Wyer, C.Y. Chiu, & Y.Y. Hong (Eds.) Understanding Culture: A theory, research and application (pp. 93-106). New York: A Taylor and Francis. Worthy, D.A., Markman, A.B., & Maddox, W.T. (2009). Choking and excelling at the free-throw line. International Journal of Creativity and Problem Solving, 19(1), 53-58. Maddox, W.T., Filoteo, J.V., Glass, B.D., & Markman, A.B. (2010). Regulatory match effects on a modified Wisconsin Card Sort task. Journal of the International Neuropsychological Society, 16, 352-359. Laux, J.P., Goedert, K.M., & Markman, A.B. (2010). Causal discounting in the presence of a stronger cue is due to bias. Psychonomic Bulletin and Review, 17(2), 213-218. Maddox, W.T., & Markman, A.B. (2010). The motivation-cognition interface in learning and decision making. Current Directions in Psychological Science, 19(2), 106-110. Glass, B.D., Maddox, W.T., Markman, A.B., Schnyer, D.M., Bowen, C., Savarie, Z.R., & Matthews, M.D. (2011). The effects of 24-hour sleep deprivation on the exploration-exploitation trade-off. Biological Rhythm Research 42, 99-110. Vohs, K.D., Glass, B.D., Maddox, W.T., & Markman, A.B. (2011). Ego depletion is not just fatigue: Evidence from a total sleep deprivation experiment. Social Psychological and Personality Science, 2(2), 166-173. Glass, B.D., Maddox, W.T., & Markman, A.B. (2011). Regulatory fit effects on stimulus identification. Attention, Perception, and Psychophysics, 73, 927-937. Worthy, D.A., Brez, C.C., Markman, A.B., & Maddox, W.T. (in press). Motivational influences on cognitive performance in children: Focus over fit. Journal of Cognition and Development. Grimm, L.R., Markman, A.B., & Maddox, W.T. (in press). End-of-semester syndrome: How situational regulatory fit affects test performance over an academic semester. Basic and Applied Social Psychology. Psychologist Art Markman, author of "Smart Thinking" (Penguin, Jan. 2012) and director of Human Dimensions of Organizations, discusses the consequences of suppressing emotions, and how to come up with new problem-solving ideas. Watch him discuss these topics and more in a Knowledge Matters 2-part video series. Intelligence and smart thinking are not the same. In fact, sciences confirms that smart thinking is not an innate quality but rather a skill to be cultivated. 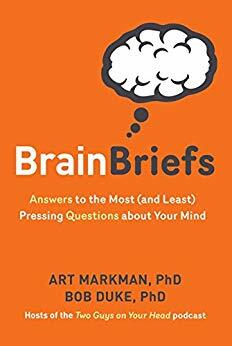 Drawing on diverse studies of the mind, from psychology to linguistics, philosophy, and learning science, Markman demonstrates the difference between smart thinking and raw intelligence, showing how memory works, how to learn effectively, and how to use knowledge to get things done. Arthur Markman is director of the Similarity and Cognition Lab at The University of Texas. He studies how people learn, how people perform under pressure, and how incentives affect performance. His research has focused on three main areas. First, he is interested in the way people see things to be similar, and how they process similarity and analogy comparisons. While the study of similarity is interesting for its own sake, it is also interesting because of what it can tell us about other psychological processes. In order to look at the way that our ability to make comparisons affects our cognitive processing, he also does research on category learning and decision making. He is a Governing Board member of the Cognitive Science Society and Executive Editor of the Cognitive Science journal. He shares insights into current issues ranging from the psychology of politics to teen drug-taking behavior in "Ulterior Motives," a blog series in Psychology Today. Dr. Art Markman — Annabel Irion Worsham Centennial Professor in the Department of Psychology — discussed his work in the field of cognitive science. 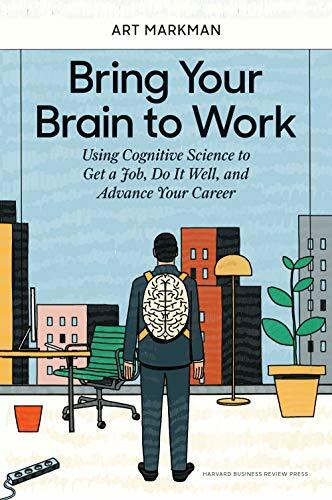 Markman has written a book on the subject, Smart Thinking, that differentiates between raw intelligence and the act of using intelligence to understand memory, learn effectively and accomplish goals. "Why Empathy Makes You More Helpful. There is a lot of research suggesting that empathy increases people’s desire to help others. Empathy is the ability to share other people’s emotion. The better able you are to feel what someone else is feeling, the more likely you are to want to help them when they are in a difficult situation. This ability also extends to animals. We are able to project feelings onto animals like dogs, and that increases our need to help them. But, what is it about empathy that promotes the need to help?" Panel discusses the changing face of technology during the New York Health and Wellness Social Media Week. 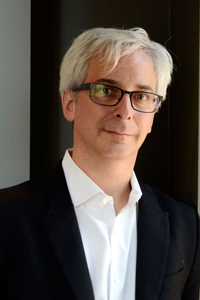 Dr. Art Markman, professor of Psychology and Marketing at The University of Texas, is the author of the book "Smart Thinking - Three Essential Keys to Solve Problems, Innovate, and Get Things Done." The Similarity and Cognition Lab, run by Art Markman, does research on how people see things to be similar to each other and how the way that we can compare things affects other aspects of cognition. One of the core organizing frameworks of the lab is a search for ways to study cognitive processes that provide a good balance between the control that laboratory experiments allow and ecological validity. That is, whatever we study in the lab should bear some resemblance to what people do in their daily lives (when they are not participating in an experiment). We use this philosophy in our studies of comparison, decision making, and categorization. Comparison is a central aspect of cognitive processing that affects abilities as simple as noticing that a pair of identical twins are in fact the same to our ability to notice that an atom is like the solar system, because something revolves around something else in each. The research we do on similarity and comparison reflects that the same process can account for both the mundane similarity comparisons and also the more complex analogical comparisons. Of course, the study of similarity is primarily interesting, because we believe that the process of making comparisons operates in domains beyond similarity. Two areas that we have looked at in particular are Decision Making and Categorization. The research on Decision Making focuses on the processes that people use to choose among a set of alternatives. One thing that people seem to do is to compare the alternatives they are choosing between. In these comparisons (as in similarity comparisons), corresponding pieces of information become important. For example, when choosing which of two colleges is best, people are more likely to pay attention to information about the academic reputation of the schools if they have information about the reputation of both schools than if they have that information about only one school. Thus, you could have some feature of a choice that you think is quite important, but you might not pay much attention to it if you don't have a corresponding piece of information for all of the options. We are also interested in the influence of people's goals on what they value. 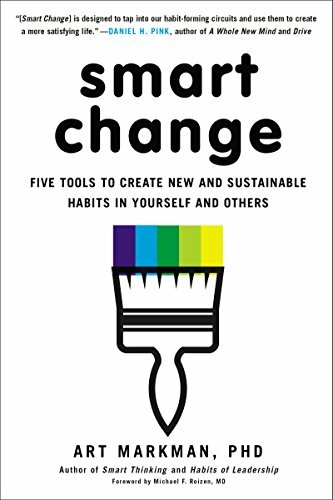 We are using the patterns of change in people's preferences for items when a goal is activated to better understand what people's goals are. The research on Categorization is primarily focused on how the way people use categories affects what they learn about them. In some research, we have contrasted learning categories by learning to classify new items with learning categories by learning to predict features of new items. In other research, we have asked people to build LEGO models collaboratively in an effort to understand how communicating (in this case about LEGO pieces) affects the categories (of LEGO pieces) that are formed. We have also explored how people learn categories in the process of forming preferences about them. We also study different types of categories. Most research examines how people learn which features are associated with a category or which features help to distinguish one category from another. We are also interested in the development of role-governed categories, which are categoiries that are defined by the role they play in some situation. For example, there is no particular set of properties that defines something as a game. Instead, games are the kinds of things that people play. Similarly, a barrier is not defined by a set of properties, but instead is marked by being the sort of thing that obstructs. We are developing methods to examine how role-governed categories are learned and how learning of role-governed categories differs from learning of categories associated with sets of features. Finally, we explore the relationship between motivation and learning broadly. We are interested in whether people's orientation to potential gains and losses in the environment affect performance on a range of cognitive tasks. We find that when this orientation to gains or losses matches the actual rewards available in the environment, then people are more flexible in their performance than when there is a mismatch between their motivational orientation and the reward structure of the environment.